I'm regularly asked what are some other sources of information about the rapidly diversifying carsharing industry, so here are a couple of comments and a couple of places to spend some time. First, the comments: if you're looking for operational data - hours per day of utilization, revenues, etc. - I'll tell you right now, there's ALMOST NOTHING on the web. The reason is not hard to figure out: most of the companies are for-profit and don't want their competitors doing exactly what you're trying to do - reverse engineer their business model. Nothing surprising about that, is there? You can try to do a little reverse engineering from Zipcar's old SEC filings (pre/post IPO), City Carshare's tax forms (they're a nonprofit) on GuideStar, and the financial statements in Mobility Switzerland's annual report (they're a cooperative). What is on the web has a lot to do with the growth of the industry and the demographics of members and trip patterns, as it relates to impacts on urban transportation. Almost all of the information out there is about traditional round trip, station-based carsharing, since the first studies of one-way/on-demand carsharing and P2P carsharing are only now underway with results expected to start trickling out in the fall of 2014. Finally, I would warn you you can spend a huge amount of time on the internet looking for information that just doesn't exist. Trust me! The starting point for any research on carsharing is the 2005 study by Adam Millard-Ball Carsharing Where and How It Succeeds. This is the bible on round-trip station-based carsharing. Fortunately, you can download the entire book for free from the Transportation Research Board here. Really, start with this report whether you're a car rental company, a city government agency or a business major writing a report or a business plan. TSRC — At the Transportation Sustainability Research Center at U.C. 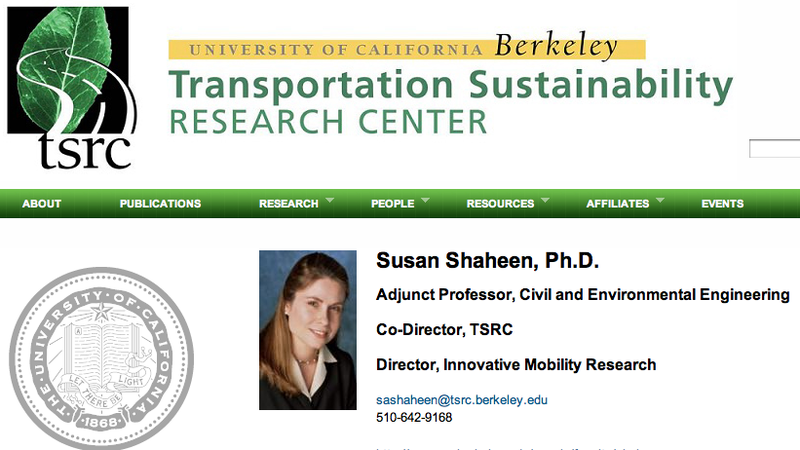 Berkeley, Dr. Susan Shaheen has been researching carsharing longer than anyone, and we are fortunate that she's got an academic home that has enabled her to research and publish so much about the evolution carsharing. Reports by her, Eliot Martin and Adam Cohen are cited everywhere and for good reason. Auto Rental News magazine — Chris Brown the editor of Auto Rental News realized early on the implications of carsharing on the rental car industry and started covering it. 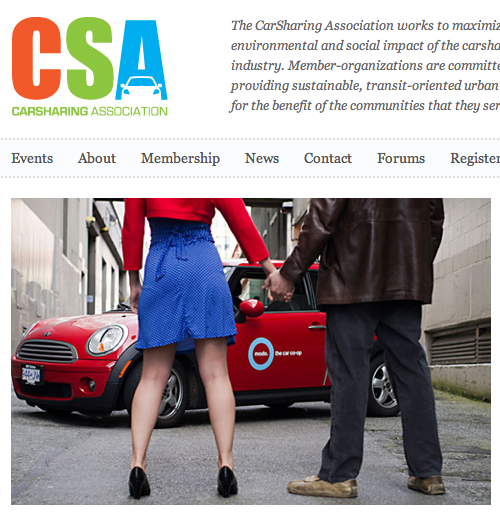 CSA — The Car Sharing Association is a North American-based trade and advocacy group with a growing world-wide membership, which primarily serves as a forum for operators. Some of the most useful current information is from the presentations from their 2013 conference here. My Twitter feed — You'll quickly see that I Tweet a lot more than I write blog posts. I cover current developments in carsharing and "new mobility", in general. My most recent Tweets are to the right. Carsharing.Net — Carsharing.net is curated by Autoshare (Toronto) CEO and Canadian carsharing pioneer Kevin McLaughlin and has a bunch of information, some new, some old including some "how to's" about starting a carshare from some of the pioneers. 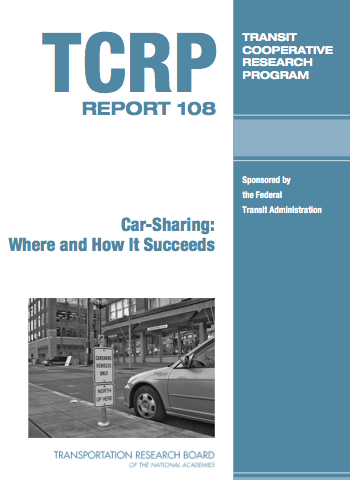 You can still download my 2004 TRB paper CarSharing - Start Up Issues and New Operational Models from the Carsharing.net website here. People tell me is still a useful overview, even though the technology sectiion is woefully out of date. Frost and Sullivan — Martyn Briggs and his band of researchers at Frost and Sullivan have produced a number of very interesting reports about carsharing and future of mobility and the automotive sector in both North America and Europe over the past few years. Of course, they'd really like to sell you the full reports. Search their site for the latest press releases here. CommunAuto — Special mention should be made of the extensive bibliography of both French and English research reports on carsharing, starting pre 1981 and extending to 2005. This is a gold mine for history buffs. Slideshare — And while we're on the topic of slide decks, there are a number of Powerpoints on Slideshare worth looking at. I'd start with the one's that have the most views here. For international research you mostly have to go to consultants like me or hope you find something useful at the websties of trade associations in various countries. World Carshare Forum — Eric Britton has been interested in carsharing even long than I have and has been an inspiration to pioneers in the industry through the World CarShare Forum. But as carsharing has become well-established he's broadened his interests into more general sustainable mobility topics. He's tireless in just about every medium imaginable, Facebook, Linked In, etc. Well, worth a read. 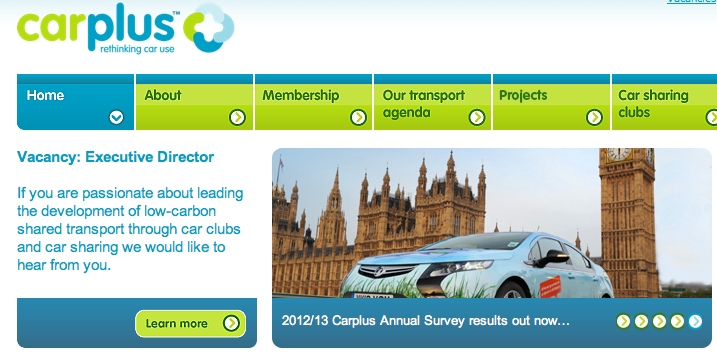 CarPlus — The CarPlus Trust in the UK is another go-to source for English-langauge information about "car clubs" in the UK ("carsharing in the Queen's English is what we Colonists call "carpooling"). They're an umbrella organization, setting standards and promoting the car club idea all over the British Isles and their best practice guides and annual report of car clubs is a model that every cities and, indeed, other countries should emulate. You'll also find references to reports by Dr. Scott LeVine of the Royal Auto Club Foundation in the Resources section, such as his recent Car Rental 2.0. 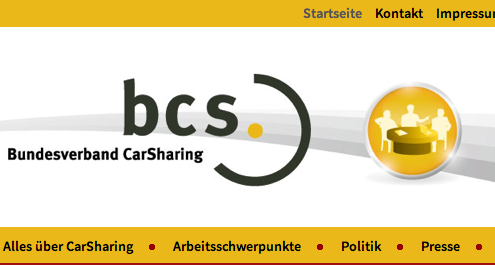 BCS — Bundesverband Car Sharing (Federal Association of Car Sharing) headed by long-time carsharing researcher/advocate Dr. Willi Loose, is the trade group for the carsharing industry in Germany and they also publish a useful annual report. They have an abbreviated but useful summary of international research on their website translated here. As with other country sites, you can search for the cities that offer casharing - and in Germany that can be daunting, since there are over 110 companies offering carsharing in Germany. France — Somewhat suprisingly, there's no organization representing all the carsharing services in France. The Autopartage France group of cooperative carsharing services has recently rebranded itself as the Citiz Network. They link to a very interesting national survey of carsharing in France translated here. 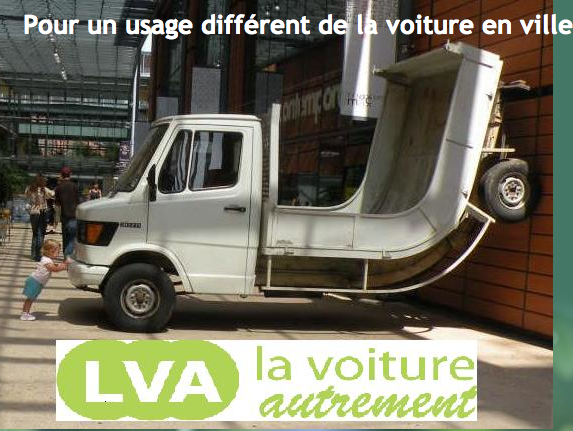 An interesting, if a bit purist, discussion forum about autopartage is La Voiture Autrement, machine translated into English here. Australia — has several major carshares serving multiple cities. The Australian government has published several reports about carsharing over the years. Japan — Not surprisingly, given the density and cost of owning a car carsharing has taken off in Japan with a major parking operator and car rental firm offering carsharing. In addition, there are many smaller groups offering EVcarsharing services, as well as experimental programs from Toyota (Ha:Mo) and Nissan (Choimobi). Email me if you are interested in more information. The rest of Asia — Without Google Search and GoogleTranslate, the scattered news articles about carsharing developments would be the inscrutable Orient! And a final comment, do not overlook Wikipedia. Even I am constantly discovering detailed stuff on Wikipedia I'd never seen before. Happy hunting. But don't say I didn't warn you! That's what we consultants are in business for - to help you sort out the wheat from the chaff - much faster and more economically.